Thank you to everyone who attended the From Shape To Shape art show reception! A large crowd gathered for the From Shape To Shape art show reception on December 1st from 2pm to 4pm. Kids in our after school classes from Dixie, Glenwood, and Mary Silveira schools created all the art for the show, as well as the title and postcard for the show! 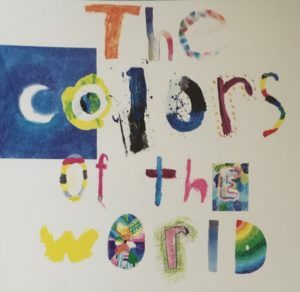 The Colors of the World art show is now open at the Marin Society of Artists gallery. We had a great time at the reception on Dec 8th from 5p-8p. 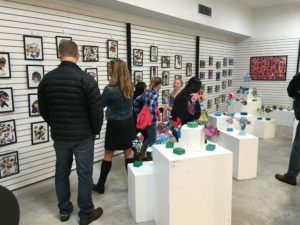 Artists, parents, grandparents, and friends all dropped by to see the show and congratulate the artists on their hard work. The show runs from Dec 8th through 23rd. Kids Art Show Coming Soon! 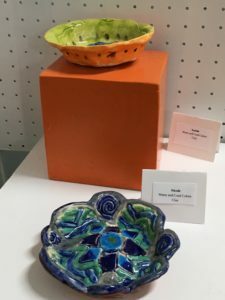 The students in our Create Your Own Art Show class are having fun creating works of art in clay, paint, and more to put in their class show at Marin Society of Artists Gallery! In addition, they are working on a title for the show as well as flyers which should be ready soon. The show runs Dec 8th through 23rd at Marin Society of Artists Gallery (ground floor level), 1515 3rd Street San Rafael. Show reception is Dec 8th from 5p-8p and coincides with 2nd Friday Artwalk. Stop by and see what they’ve made! 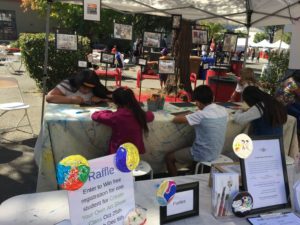 Art Maker Studio is proud to have been part of HeadsUp Carnival 2017, which helped raise over $80,000 to support San Rafael schools! 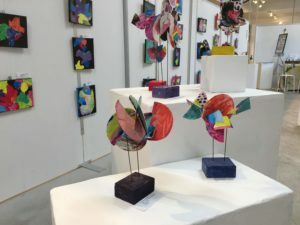 We enjoyed meeting all the kids and parents who stopped by our booth to make some colorful foil art, enter our raffle, and find out more about our upcoming classes. It was great day, and we look forward to doing it again next year!